Yesterday I spent the day preparing approximately 20 slow cooker meals. Well, it really wasn’t the whole day as it took me about 4 1/2 hours from start to finish. I first placed my order at ShopRite Shop at Home and purchased everything I needed for around $100. I used no coupons but used a coupon code for $30 off $100. Below are all the recipes that I prepared. 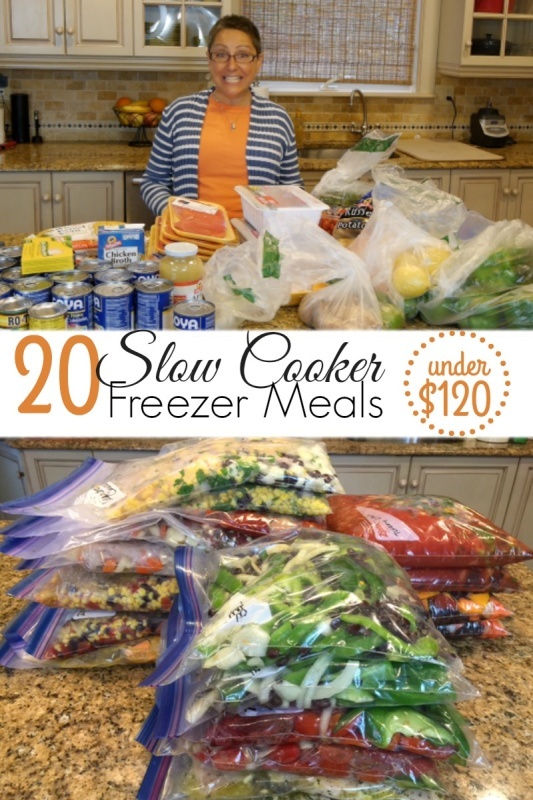 I adapted family recipes and recipes I found to be able to freeze them and cook them in a slow cooker. I’m testing these recipes to see how they turn out so if you plan on doing them, please keep that in mind. Also, I tried to stay away from processed ingredients as much as possible so you won’t find any type of creamy soups included these recipes. There are 10 recipes below which I doubled making 20 recipes. The recipe does not show them as doubled but the list of ingredients I provided are for doubling all 10 recipes. 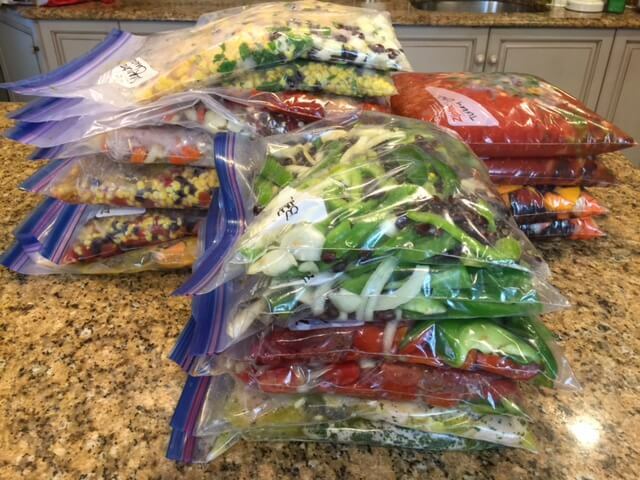 These recipes should feed a family of 4 however, when I made them yesterday, I noticed that I would probably need to cook both bags for a couple of them, Chicken Cacciatore and the Lemony Garlic Chicken. That would really determine how much your family eats. I hope you enjoy these recipes. Not only is it such a time saver, it saves so much money on last minute take out. How nice is it to wake up in the morning and dump it into the crockpot, arrive home at night and dinner is done. Note prices below are from ShopRite based on sales the week of 10/25/15. These items can be purchased anywhere at any time. Review: Nice flavor! We ate it with Nachos & Cheese! Review: It was like a Chicken Stew. Loved the Sweet Potatoes. Didn’t taste much of the apples. Wondering how it would taste with apple chunks instead. Review: I cooked it for 10 hours instead of 8 which was too long to leave it in there so I had to add a little water at the end. Topped it with shredded cheese and made a quick salad for a yummy meal! Review: Quite yummy! Served it over brown rice and topped with just cheese. Needed salt and pepper which was not in the original recipe so I added it above.